Uliana Tikhova us with Trump (NYC), Elite (Paris), Why Not (Milano), Grace (Russia). PONY RYDER: When did you start modeling? ULIANA TIKHOVA: About 3 years ago. Maybe 4. I don't remember exactly. PONY RYDER: From whom did you get such a great genes? Tell us more about Novosibirsk. ULIANA TIKHOVA: Thank you! I got it from my mama…actually from both parents. And also I grew up in Novosibirsk science center near the Nuclear Physics Institute – so it could have some influence on my genes as well. PONY RYDER: HAHAHAHA. What is it with Russians and Vodka? No offence anyone. PONY RYDER: Ouch :). Uliana, did you know that if you spell backwards Evian water it comes: Naive? ULIANA TIKHOVA: Don't know what you are talking about. I just know vodka. PONY RYDER: Uliana, is it a traditional or unusual Russian name? ULIANA TIKHOVA: It's a pretty old one, but not too unusual here. ULIANA TIKHOVA: They have more fun in all the life, because for every stupid thing they do, they have an excuse «oh I’m sorry, but I’m just a blonde!». PONY RYDER: Is it true that you want to become a surgeon and that you quit modeling for few months so you can return to school? ULIANA TIKHOVA: Yes, plastic surgeon is my dream job, but I will work on it later. Now I'm at editing and publishing department of Novosibirsk State University. It's not true that I quit modeling for that. I never stop with it for more than 2 months. Last season I didn't go to Paris just since I didn't have the visa, not because of school! PONY RYDER: What do you do in your free time? ULIANA TIKHOVA: I'm sleeping, reading and watching films. Seeing my friends, drawing... nothing special actually. PONY RYDER: Did you ever thought before starting as a model that you will make it so big? PONY RYDER: How is it in model apartments anyway? PONY RYDER: Did you ever face some kind of obstacles that a new model has to deal with? ULIANA TIKHOVA: It's not that I started too big. I had to work on my appearance and personality before things got better. You know, when girl comes from Novosibirsk to New York at the age of 16, it's really hard to realize who you are and where you are. Maybe that was the hardest thing for me as a new face. PONY RYDER: You walked for big names as Nina Ricci, Lanvin, Marc Jacobs, etc. Who showed you how to walk on catwalk? ULIANA TIKHOVA: They teach us how to walk almost on every show! So, there are a lot of walking-classes in my life. I'm afraid of falling, especially before the show. I'm always really nervous on backstage, but when I’m on catwalk it's a very special feeling... no, just no thoughts at all and a lot of excitement. PONY RYDER: I saw your polaroids by Trump, and I must say: Wow!!! ULIANA TIKHOVA: Actually it's really easy for a model to get an inspiration for style: we change a lot of different clothes, hairstyles, make-up, etc. And we can choose what suits us best! 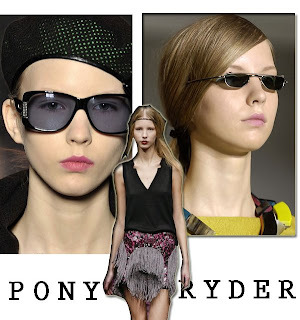 PONY RYDER: And a must have item? ULIANA TIKHOVA: A must-have item? I don't know... Actually I want some crazy heels now. PONY RYDER: And how do you dress/behave for castings? ULIANA TIKHOVA: My clothes and face depends on my attitude. I want to be honest with people. If I’m in a good mood today-why should I be serious with clients? PONY RYDER: How do you maintain your skin? ULIANA TIKHOVA: For skin care I always use Clinique cream, a yellow one. It's my only permanent attachment in cosmetics. PONY RYDER: Do you have any beauty home made recipe? ULIANA TIKHOVA: Long sleep +good mood= beautiful face and all other parts of body. PONY RYDER: What make-up do you always wear? ULIANA TIKHOVA: Dior mascara and Neutrogena lip gloss are my favorite! ULIANA TIKHOVA: Now in winter I go skiing every day, in summer I swim. 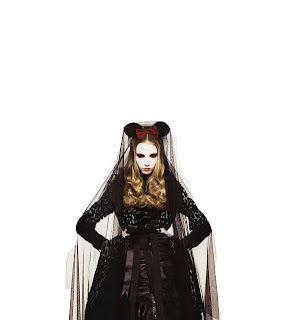 In spring and autumn I have fashion weeks. ULIANA TIKHOVA: I'm the biggest fan of Italian and French food. Steaks and pizza are my favorite! PONY RYDER: I always ask this, because I see lots of models backstage drinking Coca Cola... But, do you actually feel the difference between Diet Cola and regular one? ULIANA TIKHOVA: Diet is not tasty-because it doesn't have sugar. And sugar is the only natural thing in Coke! Exclusive interview with fashion model Uliana Tikhova is original work and courtesy of Pony Ryder blog.